Coupled with the library’s renovations and new coffee shop is the oh-so controversial temporary library hours. Since August 26th of this year, the library has been operating on a temporary schedule, from 8am-12am on Mondays and Tuesdays, 8am-7pm with the newly renovated coffee shop open from 7pm-12am on Wednesdays and Thursdays, 8am-5pm on Fridays, 12pm – 4pm on Saturdays and 7:30pm-12am on Sundays. 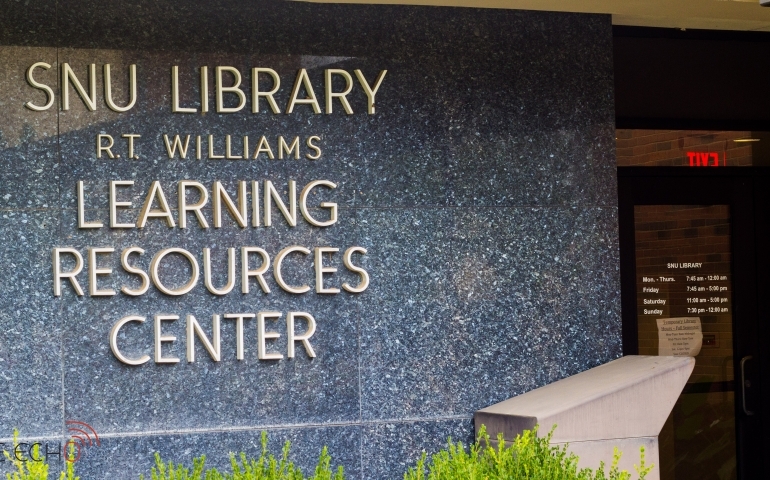 Over the summer, the R.T. Williams Library, commonly known as the Southern Nazarene University Library, had to say goodbye to several staff members. Daniel Chesney, Interlibrary Loans/Periodicals/Acquisitions coordinator took a position outside SNU after working for the library for about four years, while Sybil Connolly, after being a part-time reference librarian at SNU for over thirty years, has retired. King hopes that students realize how much the librarians have worked to make the library a perfect place to study comfortably. “In the meantime, we librarians are very thankful for our new extended hours space! We listen to your (students’) needs and ideas, and we also keep up with innovations in the field of librarianship,” said King. “As a result, we librarians knew SNU needed an academic space where you students could come and study outside of traditional hours. Finally, she is glad to report that listening to the students’ pleas for more hours has already and will continue to pay off. You can find more information about their temporary and seasonal hours here. Katie King has also stated that she is more than willing to answer any further questions you may have.